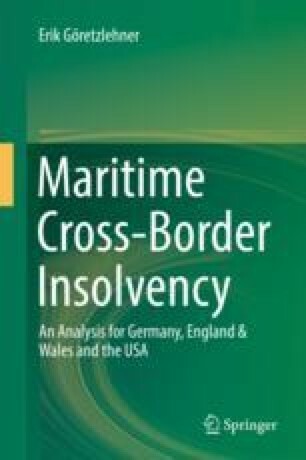 Maritime cross-border insolvency is a situation with multi-layered topics and legal issues. The calls for harmonisation in this field are numerous. The examination in the second chapter has shown that the insolvency laws of Germany, England & Wales and the USA do not diverge substantially. The three jurisdictions all share the principles of facilitating restructuring procedures and creditor satisfaction. This common ground helps in administering cases of international insolvency, where courts have to open their legal minds to foreign procedures and approaches. In the field of international insolvency, the UNCITRAL Model Law on Cross-Border Insolvency and the EU Insolvency Regulation have been milestones in the long development of a modified-universalistic approach to cross-border insolvency. The two codes have improved the efficiency of international insolvency procedures and helped establishing guidelines for the court-to-court communication and cooperation.